In celebration, husband made a pie for me. Having a geek for a husband occasionally pays off. This is actually a big to do among the engieering dorks of the world. People used to celebrate it in college. Hope the pie was fabulous. dash! we missed it this year! ironically, we were at cambridge university science festival in the engineering department! Even with a engineering tech for a hubby, I have never heard of this day. Must let on that I know and a pie would be nice... if not overdue! LOL! 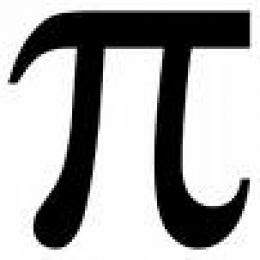 Funny, I wrote about pi day over at one of the blogs I do! We didn't celebrate, though. Waah. Pie would have been good! This is the first year I'd heard of Pi Day. I missed Square Root day on March 3rd.